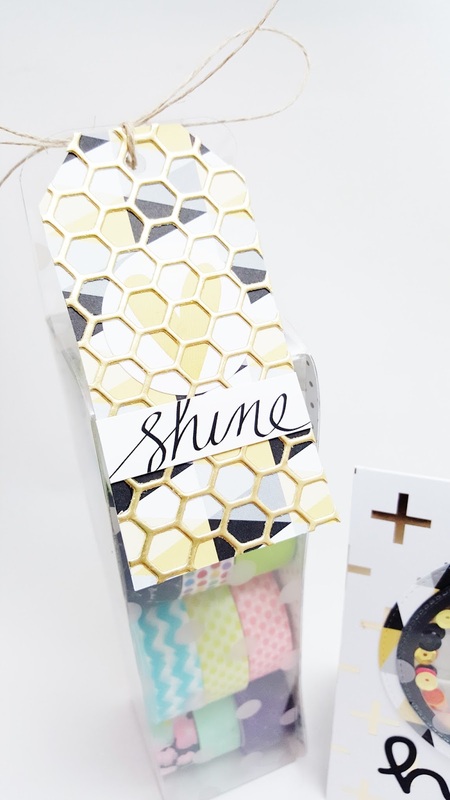 A gorgeous gift wrap idea is brought to you by the talented Alexia Misso! Hello all! It's another Thursday! The day seems to pass so quickly with the kid in school, lucky I still managed to craft a little bit when my son is in school. This week I want to share this gift idea with the brand new collection from Teresa Collins! Do you know it even has the acetate card stock in it now?! It's absolutely gorgeous and fun to create. I think those who know me know that I'm a little crazy with washi tapes lately, so I made this Washi gift box with the 12 x 12 acetate from TC. It looks great for gift giving and look at the card, love the design and the foil. 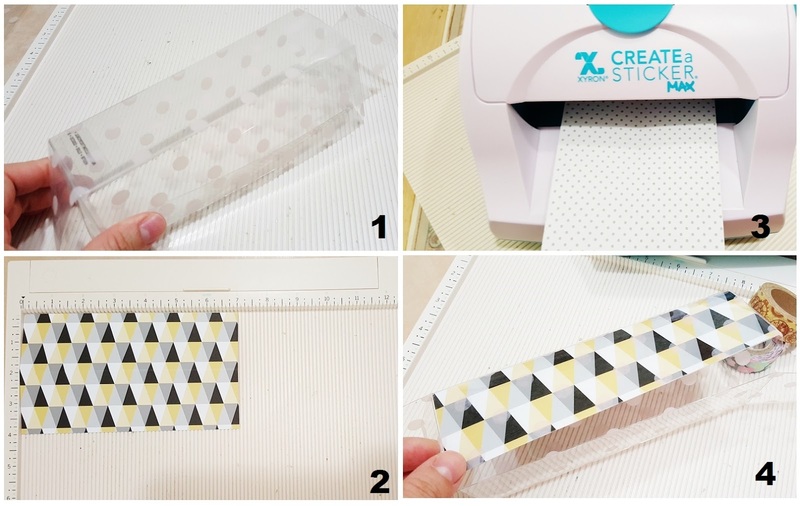 I used the Cut 'n' Boss to make the tag for the washi holder and the shaker card too! First I scored the acetate using the following guidelines. Start off with the blue score lines and discard the sections marked with black "X". Remove the excess acetate after 8.75" as shown on the right side of the illustration below. I then fold the scored lines to form a box. 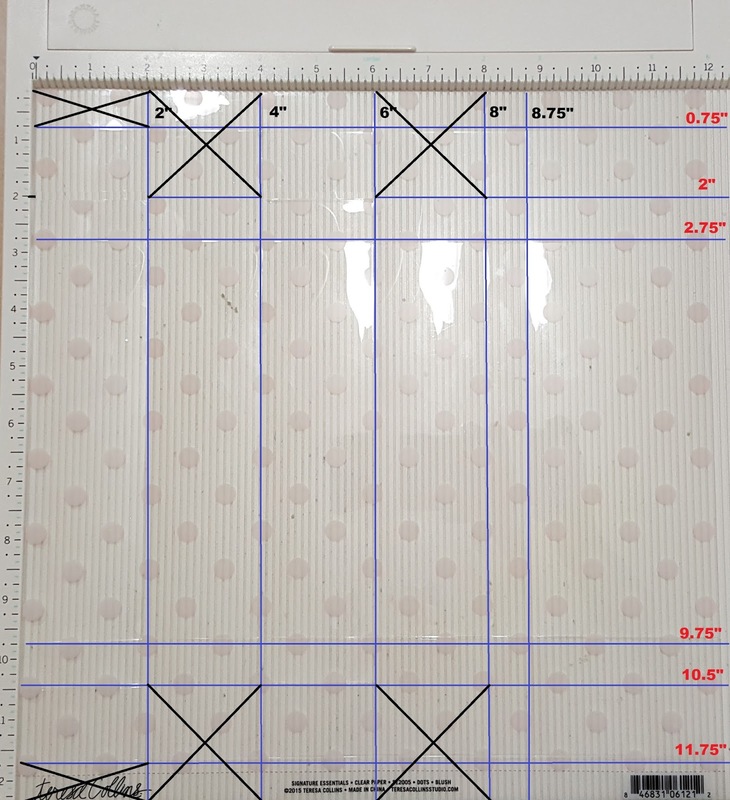 Using Xyron sticker maker, I cut a 2" x 7" strip of card stock and adhere to the inside of the box. Intentionally leaving half portion of the box exposed. Trim the excess if necessary especially around the stitched frame. 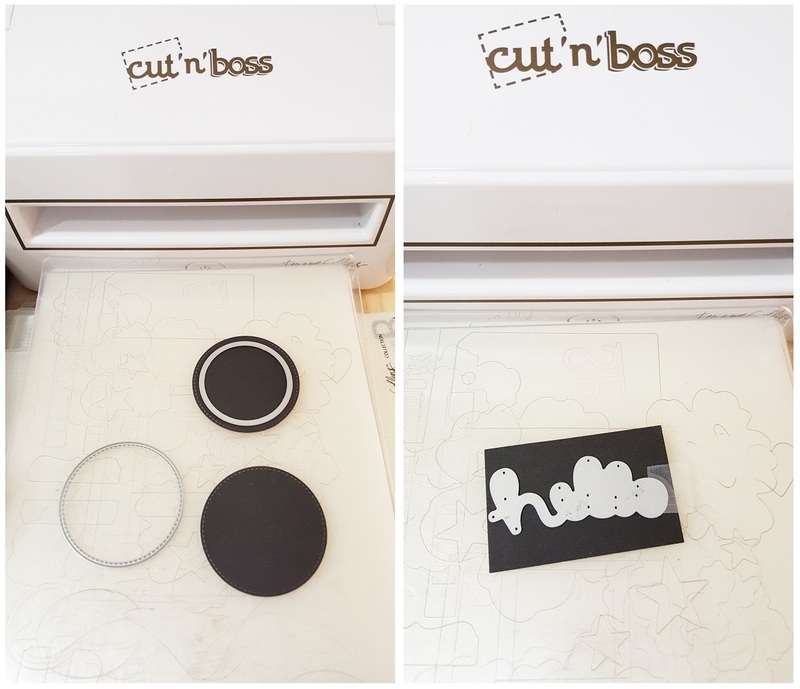 The Cut 'n' Boss will not cut through the acetate but it embosses the stitched pattern on the acetate. I also prepared a few rings using the same die above and cut the sentiment at the same time. 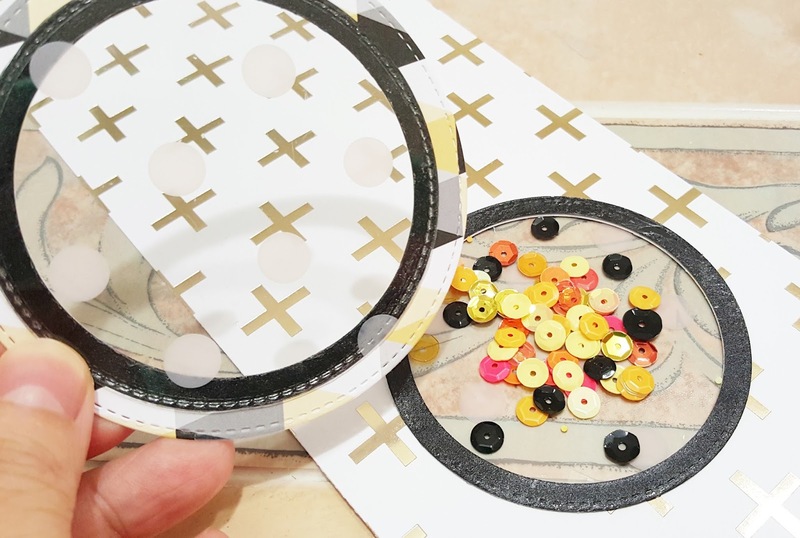 To make a circle window on the shaker card using acetate, I made a double-sided adhesives using the rings I created above and run it through Sticker Maker. 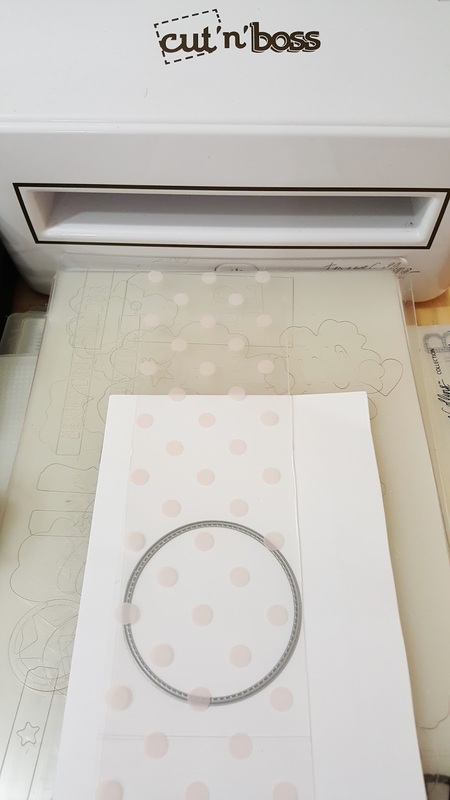 Take it out, remove the plastic film and run it through the sticker maker again but with cut out facing down. 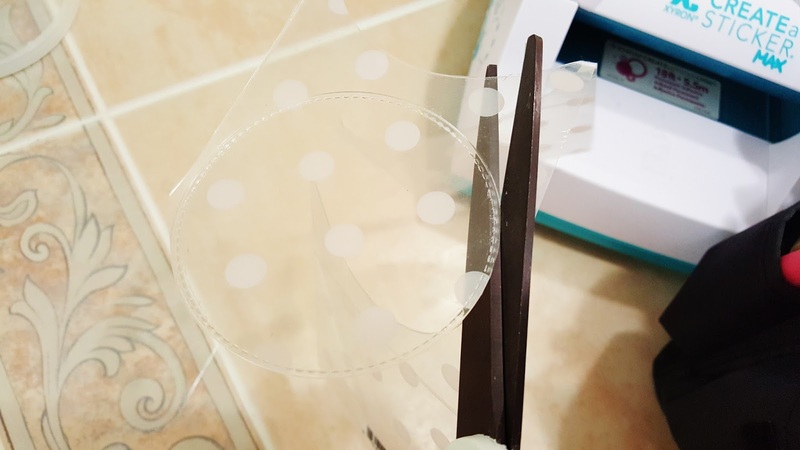 Lastly, remove the plastic film and you will have a double-sided adhesives in the shape that you want! Ta-da!! 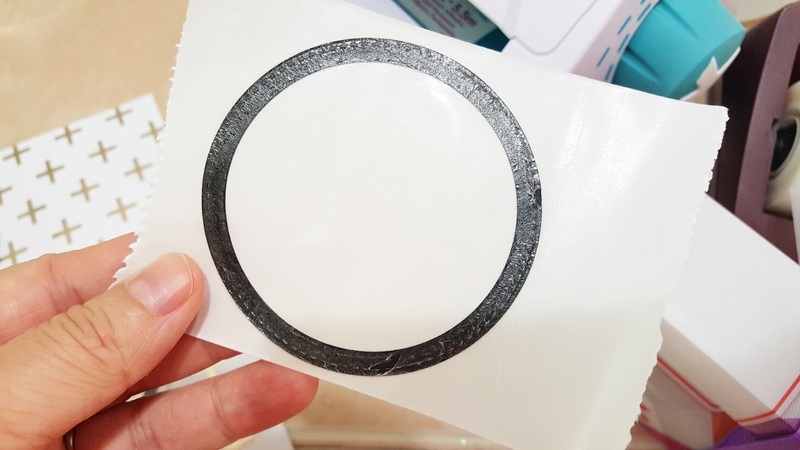 Double-sided adhesive to hold the stitched circle (acetate) together, back and front. So you will need two of the following. The magic happens here. 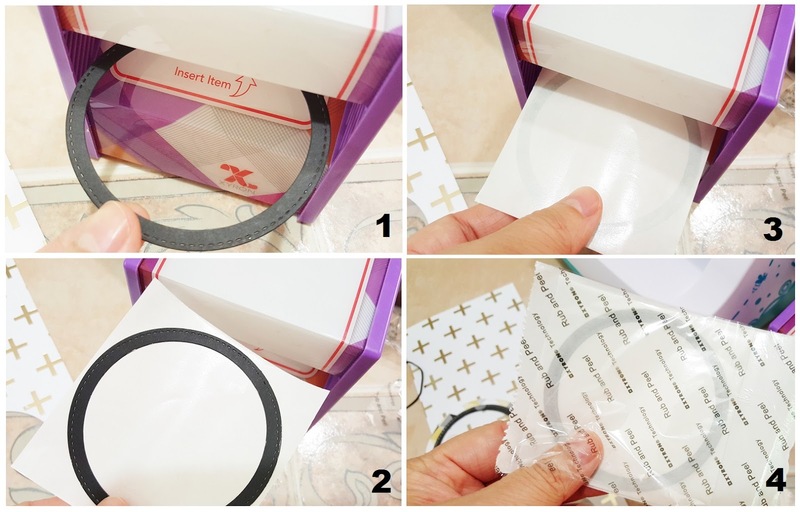 See, I glue the DIY double-sided adhesive on the card and stick the one with stitched circle (acetate) over it. 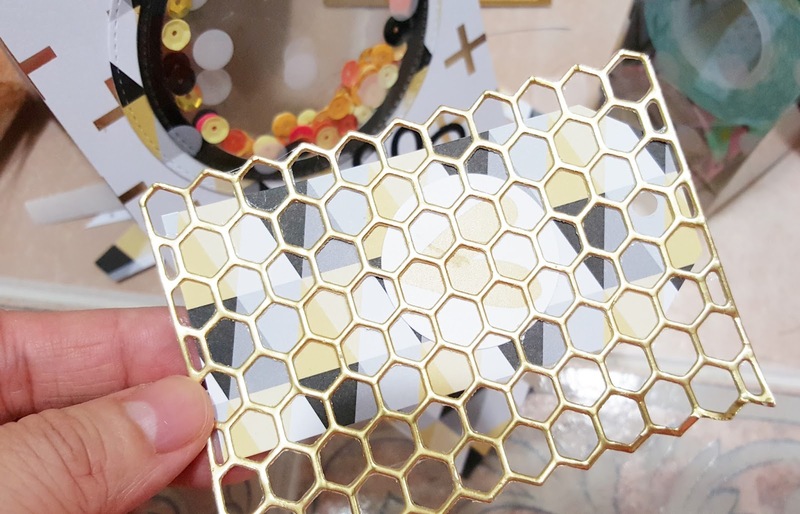 Here is how I made the tag for the gift, using the hexagon die from TC's collection I cut it in gold foil card stock and layered it over a tag base. Trim the excess. Now you got this one of a kind tag made by yourself! I hope you enjoyed this project! :) Till next Thursday!! Hugs, Alexia. SUPER LOVE THIS!!! LOVED THE BOX!! LOVED THE SHAKER!! LOVED THE TAG!! LOVED EVERYTHING! !